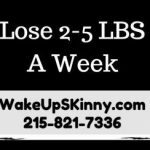 If you are looking to lose weight our Philadelphia medical weight loss program can help you achieve your weight loss goals. In fact using this program I have dropped from 247 lbs down to 173 lbs over the past months. On our weight loss program I wasn’t hungry and I was able to enjoy real food that was delicious, satisfying and tasty. 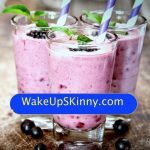 Here are a few of the tasty recipes that I was able to enjoy while losing weight. So there you have it some delicious recipes that will tantalize your taste buds, satisfy your hunger and cravings, fill your tummy and say bye bye to your belly. I hope these recipes help make your losing weight easier, tastier and more enjoyable. If you need assistance with your weight loss please call us for your totally free medical weight loss consultation at 215-821-7336. As of July 12, 2015 these free medical weight loss consultations are being offered for a limited time. Call 215-821-7336 and schedule your free consultation now. The appetite suppressant pills helped decrease my cravings and my appetite and the vitamin B12 injection gave me a controlled boost of energy. The combination of the weight loss pills, vitamin B12 injections, sensible eating plans and a walking program helped make my losing weight a reality. We even have weight loss plans designed especially for people who have diabetes, hypothyroidism and polycystic ovarian syndrome. So if you’re looking to lose weight or just become more healthy call us and let us see how we can help you. In our weight loss program there are no gimmicks, no tricks and no magic diet fads but rather a medically sound blue-print with step by step instruction on how to achieve your goals. So call us now at 215-821-7336 for your free consultation. This entry was posted in diet doctors, Diet Doctors in Bucks County, Diet Doctors in Philadelphia, Medical Weight Loss, Weight Loss, weight loss philadelphia and tagged "Medical Weight Loss clinic Philadelphia", "Philadelphia Diet Doctor", "Weight Loss Doctors in Philadelphia", diet pills Philadelphia, doctors prescribe phentermine Philadelphia, medical weight loss bucks county pa, medical weight loss doctors Philadelphia, Medical Weight Loss Philadelphia, phentermine in Philadelphia, philadelphia diet doctors, philadelphia weight loss doctors, vitamin B12 injections Philadelphia, weight loss philadelphia, weight loss pills philadelphia, weight loss programs Philadelphia on July 13, 2015 by Dr. Michael Kenny.